Ever more widely, management is considered as a discipline crossing a wide range of contexts giving evidence of the relevant contribution of managerial sciences and of its multi-disciplinarity. The managerial approach fits the needs of a wide range of problematic contexts: from health to technology, but also complexity and sustainability, to provide a few examples. To address needs and opportunities linked to its transversality, however, management requires to be based on a well-grounded cross-sectional and multi-disciplinary body of knowledge. The "Systems Management" series contributes to the advancement of knowledge in a context of growing complexity in which managers and policy makers are expected to be able to face both the challenges of profitable organizations and a more sustainable, equitable and inclusive world. The systems approach can offer an incomparable contribution to this aim providing a unitary and coherent body of knowledge rooted in systems thinking. Accordingly, the "Systems Management" series collects new research-level academic books such as monographs, textbooks and contributed volumes that represent the outcomes of original studies and impactful research conducted by scholars and researchers, as well as experts in various managerial areas by adopting a systems approach. The "Systems Management" series welcomes contributions that are scientifically well-argued and rigorous, as well as equipped with practical examples and cases studies, in order to make knowledge accessible and useful for research, teaching and management purposes. 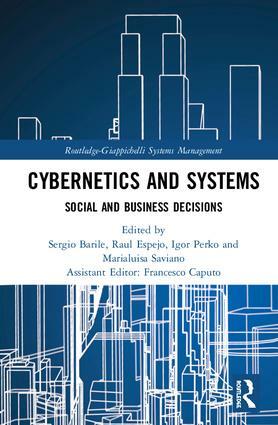 A coherent combination of theoretical and conceptual perspectives, on the one hand, and practical examples and case studies as well as empirical research evidences, which covers a variety of topics that deal with complex management issues hard to face with the traditional toolbox, represent ideal contributions to the series.